2000 HAAS MINI MILL CNC VMC, CT-40, 10 ATC, S/N 20599. LEADWELL AMERI-TECH SLANT 30 CNC GANG TOOL LATHE, S/N 530-5134002H. MITUTOYO B231 CNC CMM WITH QC-5000 SOFTWARE WITH QUADRA CHECK. 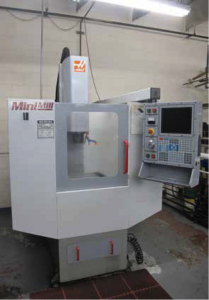 SUNNEN MBB 1660 HONING MACHINE. MICRO VU H-14, 14’’ OPTICAL COMPARATOR. LISTA STYLE 5 DRAWER CABINET. SUNNEN PG-800- S AND PG-800- E HOLE GAGES. BALDOR GRINDERS, TOOL GRINDER, SANDERS. HYDROVANE KELLOGG ROTARY VANE AIR COMPRESSOR. SAYLOR BEALL 10HP AIR COMPRESSOR.